Came out of the ocean like you came out of a dream. Your voice, it sounds familiar, but you are not what you seem. Lord Huron is a musical and visual project created by Ben Schneider. Originally a solo project, collaborators now include Mark Barry (percussion, vocals), Miguel Briseno (bass, percussion), Brett Farkas (guitar, vocals) and Tom Renaud (guitar, vocals). Ben Schneider was born in Michigan and started playing music as a child, on his father’s acoustic guitar. The senior Schneider wasn’t a musician by trade, but he had learned a bit during his downtime on ships in the Navy. Schneider’s father would bring the instrument out from time to time — most often on summer nights around the campfire up on Lake Huron — to strum and hum the songs he knew. After learning the basics, Schneider began his formal training in the school orchestra. He played upright bass and fiddled with many other instruments, both acoustic and electric, and began recording original music on a four-track cassette machine. Schneider studied art in college and lived in France and New York before moving to Los Angeles in 2005 to pursue a career in the visual arts. Music was an everpresent pastime, whether through bands or personal projects. Passions often intertwined, and Schneider composed music for various visual art projects over the years. His work was continually inspired by his outdoor explorations, landscape, and water in particular. In May 2010, Schneider traveled home to Michigan and spent a week on the shores of Lake Huron. For several months he had been writing songs and designing artwork in Los Angeles, though he wasn’t sure exactly where his ideas were headed. There at the lake, where many of his formative experiences had come to pass, Schneider recorded the three songs that would comprise the Into the Sun EP. Like most of his work up to that point, the Into the Sun tracks were heavily influenced by places. Schneider had recently taken trips to Indonesia and Mexico, and the sights and sounds of those places had lingered with him. His return to Lake Huron helped these influences to coalesce. He released the EP online in June and dispersed a small number of CDs complete with the artwork he had been working on. With help from a post by San Francisco bloggers, Yours Truly, the songs quickly gained traction online and Schneider set to work recruiting musicians to help him translate the recordings into a performance. Lord Huron’s first live show was in August 2010. On November 4th, 2010, Schneider released his second EP, Mighty. The four-song recording received immediate attention from critics and fans, bolstered by an 8.0 rating from Pitchfork. Lord Huron’s first official music video, for the single “The Stranger,” was released in January 2011. The wintery video was conceived by the band and shot by Jacob Mendel in the same location where Schneider recorded Into the Sun. The band toured heavily in 2011, continuing to develop the live show. They played across the country, including performances at South by Southwest, Outside Lands and Lollapalooza. Mark Barry and Tom Renaud, childhood friends of Schneider, moved to Los Angeles to join Lord Huron. Miguel Briseno and Brett Farkas also originally hail from Michigan. The band has worked hard to recreate the densely layered recordings in the live setting. Barry was principal in this effort, particularly early on as the band was still forming. He plays several instruments during the course of a performance (often at the same time) and is a guiding force in the arrangement of the show. In January 2012, Lord Huron signed with independent label IAMSOUND Records. The first full-length album from Lord Huron, Lonesome Dreams, will be released in September 2012. Sit down, landlubbers, and let Band of the Day spin ye the tale of Lord Huron, one of the finest tunemakers to grace the seven seas since Davy Jones. Ok, so International Talk Like A Pirate Day might have been over a month ago (September 19th, to be exact), but upon listening to the nautically-inclined orchestral folk tunes on Lord Huron’s debut LP Lonesome Dreams--which was also released last month--we couldn’t help but throw a little pirate speak in this review. The Michigan-born/Los Angeles-based musician, whose real name is Ben Schneider, is undeniably influenced by all things H2O; his name even comes from Lake Huron, one of the five Great Lakes of North America that’s bounded by Schneider’s native Michigan on the West. He started playing music as a child, on his father’s acoustic guitar, who had picked up a few basics during his downtime on ships in the Navy. After learning the basics of the guitar, Schneider joined the school orchestra to begin his formal musical training, learning how to play a variety of acoustic and electric instruments and to record music on a four-track cassette machine. Fast-forward to May 2010: Schneider spent a week on the shores of Lake Huron, where he recorded three songs for the Into The Sun EP, which was released online just one month later. The EP’s title track starts off with the sound of lapping water, and the slightest hint of moving the needle on a radio, cutting through staticky radio waves to find the correct station. Layers of dreamy folk instrumentation, as if he’s recruited an orchestra comprised of merpeople, are combined with Schneider’s beautifully-echoed vocals. On Lonesome Dreams, he continues the watery motif without ever being cheesy or over-the-top about it. It comes in as splashes of chimes, or rain-like, pitter-pattering rhythms. “Time To Run” recalls Schneider’s time spent in Asia, you can imagine monks meditating in the middle of an ancient temple in the forest. Other songs, like “Lullaby,” bring to mind the folk/Americana-heavy moments of artists like Fleet Foxes. 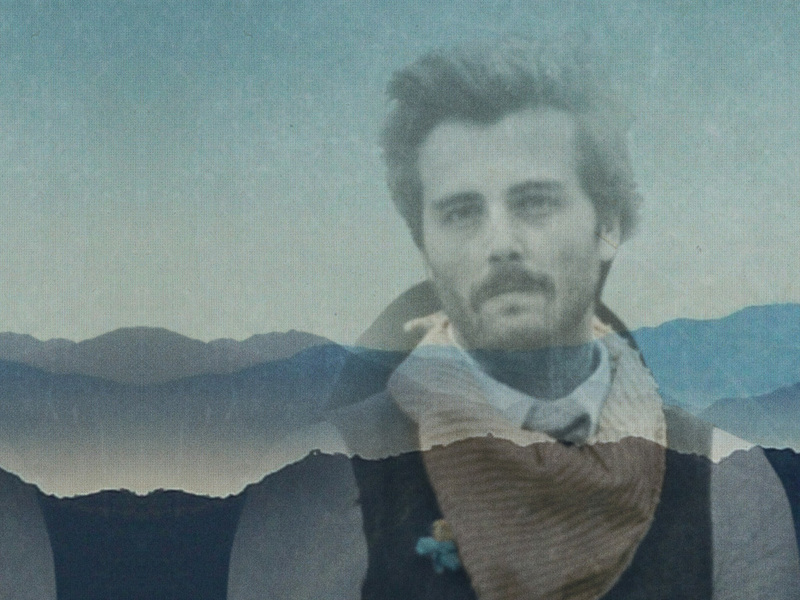 Whether inspired by land or sea, Lord Huron’s music is a gorgeous soundtrack for daydreaming.